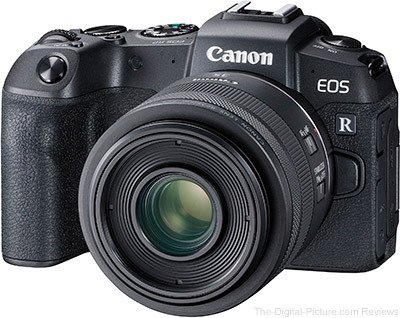 As you might have expected, the newly announced Canon EOS RP (review) is now available for preorder at the usual authorized retailers. 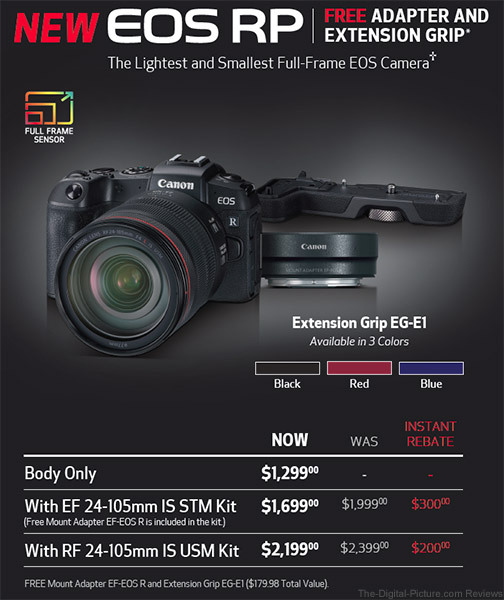 However, what you may not have expected is that Canon USA is offering a free Mount Adapter EF-EOS R and Extension Grip EG-E1 if you order your EOS RP by March 30, 2019. But that's not all. If you purchase an EOS RP + lens kit before March 30, you'll get to take advantage of up to $300.00 in instant savings in addition to the free gear mentioned above.